As the days lengthen and the spring weather starts to work its magic, I find myself shaking off my winter hibernation and venturing out into the world—without grimacing and gripping my scarf closer to my neck. My thoughts turn to warm days with coffee on the front porch, walks around the neighbourhood, maybe even a road trip or two. Then the urge to travel hits and I start itching to experience something new and exciting. And when the pocketbook can’t accommodate a trip to some exotic locale, well, it always helps to pick up a good book about interesting places around the world and live vicariously. Here are a few great PQL reads that will spirit you away on fascinating and thrilling journeys. Only a poet and artist could do such justice to the vibrant sights and sounds of Brazil. 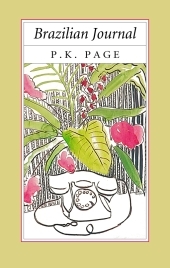 P. K. Page’s Brazilian Journal is a memoir that will take you to another place and another time—to 1950s Brazil. You’ll catch a glimpse inside the life of an ambassador’s wife, but you’ll also find yourself inside the mind of a budding visual artist. Sheree-Lee Olson’s coming-of-age novel whisks readers off on a Great Lakes cargo boat, travelling up and down the waters of Southwestern Ontario and encountering new ports—and people—along the way. 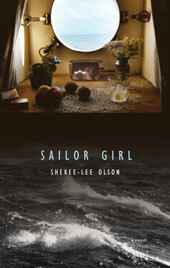 Sailor Girl takes readers away from the typical tourist destinations of the region, passing up the beaten bath in favour of a gripping tale on the water. 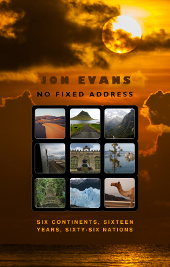 If true travel essays are more your style, pick up a copy of Jon Evans’s No Fixed Address—an account of the author’s travels through sixty-six countries on six continents. 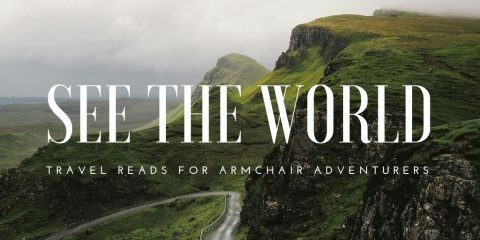 From the Bwindi Impenetral Forest in Uganda to war-torn Baghdad, Evans narrates his travels with wit, charm, and distinctly more calm than an armchair adventurer like me would ever be able to muster! 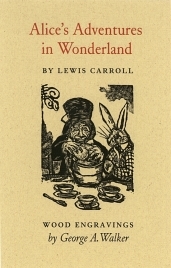 I know this is a bit of an odd-one-out on this list, but when you think of it, Lewis Carroll’s classic really is an epic adventure through exotic and exciting locations that are truly out of this world. Join Alice as she tumbles down the rabbit hole and navigates the perplexing and perilous paths of Wonderland. 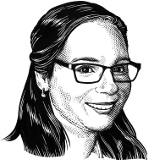 Don’t forget to stop and smell the roses—and take a gander at the fabulous wood engravings by George A. Walker, which manage to liven up the experience even more. This entry was posted in Letters from the Porcupette (the Intern's Blog) and tagged adventure books, adventure reads, Alice's Adventures in Wonderland, Brazilian Journal, From the Vault, George A Walker, Jon Evans, Lewis Carroll, No Fixed Address, P K Page, Sailor Girl, Sheree-Lee Olson, travel books, travel reads. Bookmark the permalink. I love the Brazillian Journal – recommend to everyone! Doesn’t quite reflect the present – but you’ll learn a lot about the past!